I'd never had an olive oil dessert until Matthew made this Olive Oil Cake. When he brought up the idea I was very hesitant. I couldn't imagine how it could taste good, let alone delicious. But, with my first bite of this olive oil cake I fell in love. If you know me at all you know one of my favorite foods is corn bread, and if you don't, now you do. 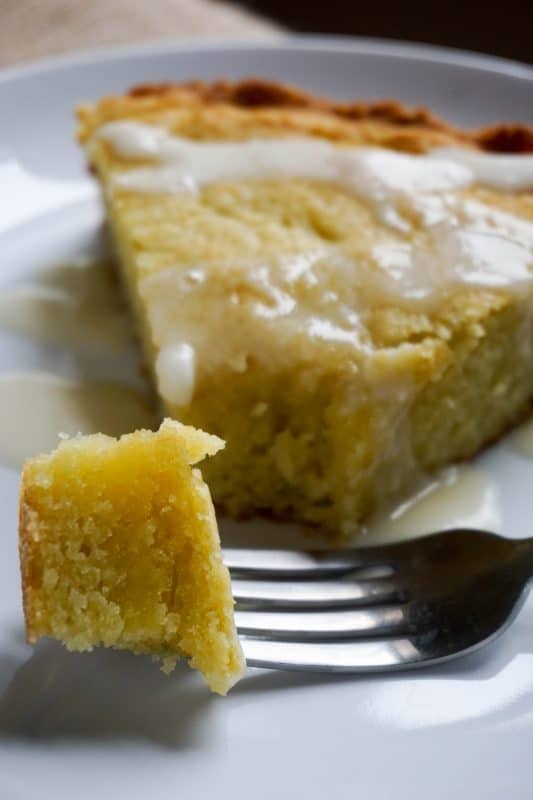 This olive oil cake tastes like corn bread heaven! It's moist, dense and subtly sweet. I find olive oil to have a very strong taste so I never even considered baking with it. Little did I know that olive oil is a great ingredient to use in cakes and breads, and is often done so by prominent chefs! It was Matt who decided that we should make an olive oil cake, even against my word, and I'm glad he didn't listen to me. The cake came out dense and delicious, and the olive oil wasn't too over powering. 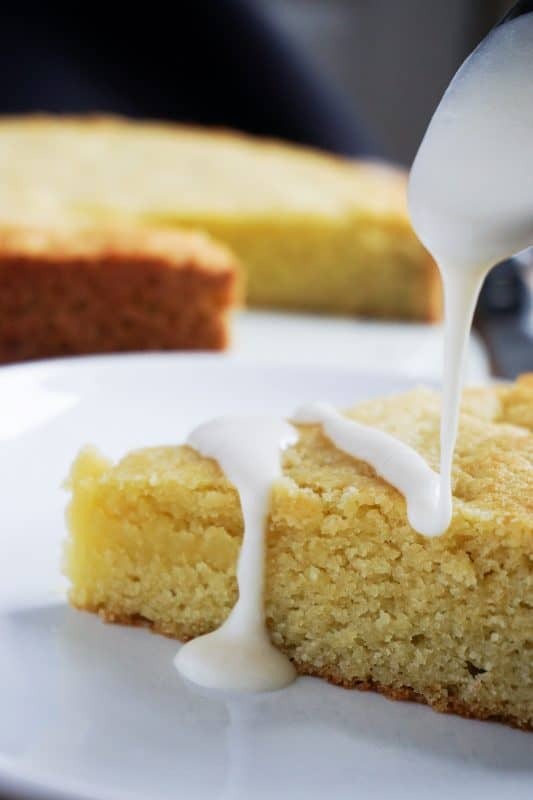 This olive oil cake has become my new favorite dessert and I know it will become yours too. Given the dense, pound cake-like quality of this recipe you would expect the nutrition to be a lot worse. But, in fact, the low carb and high fat nutrition is one of the best parts! It came out of the oven and the first bite I took I instantly thought to myself 'pound cake'. Growing up I always had the same debate with my best friend, pound cake or angel food cake? She loved angel food cake and I couldn't stand it one bit. I always was and continue to be a pound cake kinda girl! If you want to serve it at a party or a holiday event the perfect addition would be a sugar glaze coating the top and eventually soaking into the cake. Yum! Although it's the first olive oil baked good we've made, it's definitely not the first cake. If you're looking for a cake or are a fan of having dessert in the house at all times (like us! ), then we suggest giving our Protein Cake or Cream Cheese Bread a try. 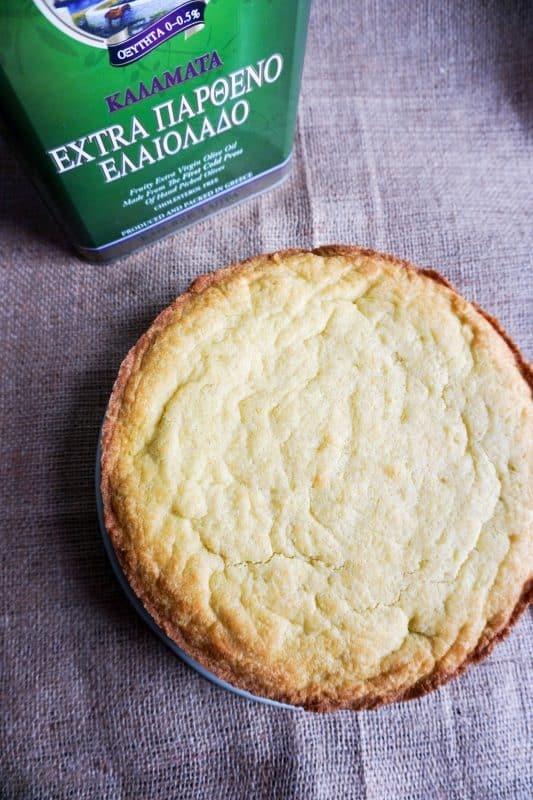 But, if you're like me, and have never baked with olive oil you should go straight to baking this olive oil cake first. 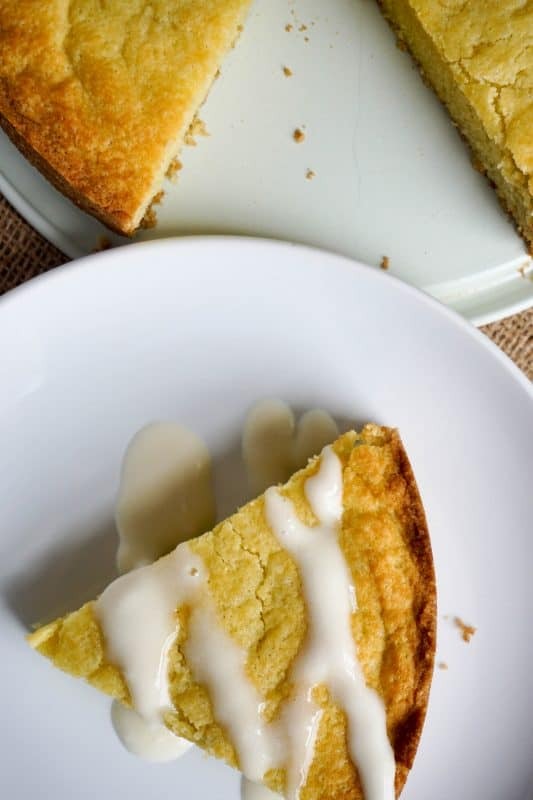 Recipe can be quickly added to MyFitnessPal - Search "KetoConnect - Olive Oil Cake"
Beat eggs to 3 times the volume in another bowl. Add olive oil, and vanilla extract to eggs and combine. Slowly add the dry ingredients into the wet as you combine. Pour into a greased spring form pan (we used a 9 inch pan). Bake at 350 for 30 minutes (edges will have browned).